Cabinets are the thing that makes the kitchen. So when they become outdated or start showing the signs of wear it’s time to do something about it in order to make your kitchen look good. There are quite a few ways to do it but with rooms like kitchen it could cost a small (or big) fortune. Thankfully there are easier and cheaper ways to renew your kitchen without breaking a bank. Usually painting is the first and easiest measure there is to upgrade your cabinets in an instant. But you don’t have to paint them just another color. 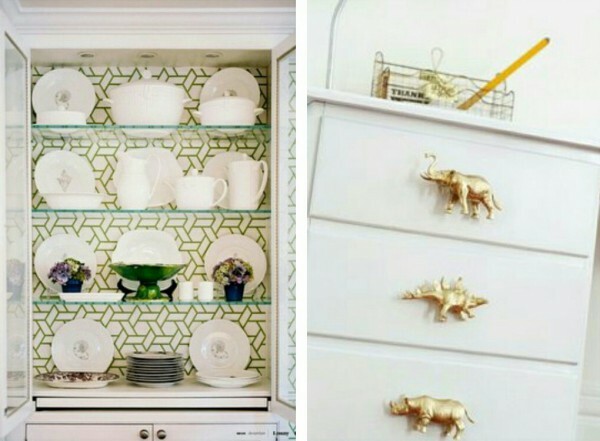 You can get creative with it and make your cabinets look truly unique by painting onlyhalf of them or . If your kitchen could use a little more decor you could replace the handles with something more modern or decorative. 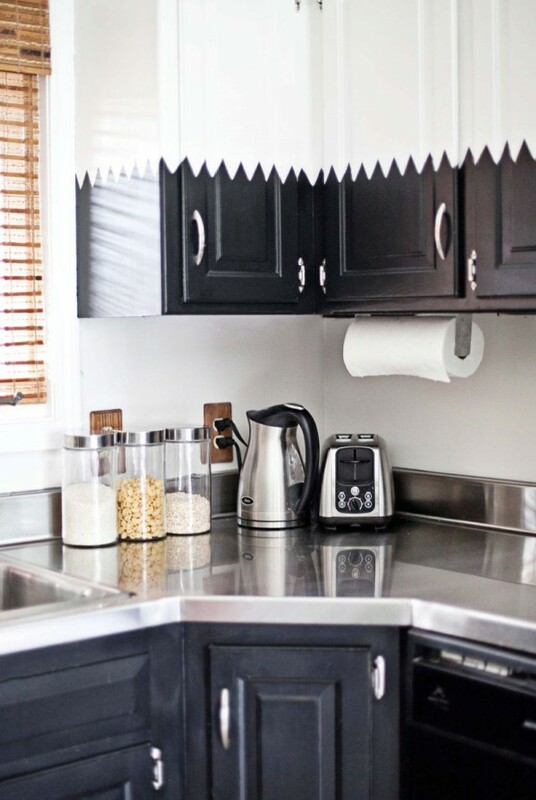 Metal handles always work better but you could go for a bit of drama with brass or intricate shapes or with a budget option of reusing kids toys as handles. Wallpaper can be another option for giving your kitchen cabinets a facelift. Don’t go overboard with it though. It will work much better if you use it sparingly, on the cabinet doors or inside the cabinet with glass doors. If you are more skilled in DIY projects you could try removing the doors from some of your cabinets and add frames if necessary in order to visually open up the space and make the kitchen feel more spacious and airy.